Scicli (NEV), 23 January 2019 – The “Lo sguardo dalle frontiere” (A Look from the Border) editorial is written by operators of Mediterranean Hope (MH), the migrant project of the Federation of Protestant Churches in Italy (FCEI). This week’s “Look” comes from the House of Cultures in Scicli (Ragusa). It was an action-packed night between Monday 21 and Tuesday 22 January for some young girls staying in one of the apartments of the House of Cultures in Scicli. While a very strong storm was blowing outside, one of them went into labour to give birth to her baby. Sandra, a young guest from Nigeria who has been in Scicli for a year and a half, began experiencing labour pains. She was surrounded by her friends who were supporting her with a mix of panic and joy. The centre of Scicli is currently home to 30 people, 11 of whom are children, many mothers and some families from the humanitarian corridors. At the first light of morning, while the rain continued to beat interruptedly against the windows, they alerted the emergency medical services. Mauro and Erica raced to the facility and at 7:45 am were in front of the House of Cultures to accompany Sandra to the hospital, but the ambulance had already arrived to take her. They grabbed everything they needed for the birth and set off towards the hospital. Blossom came into the world at 8:30 in the morning on Tuesday 22 January. 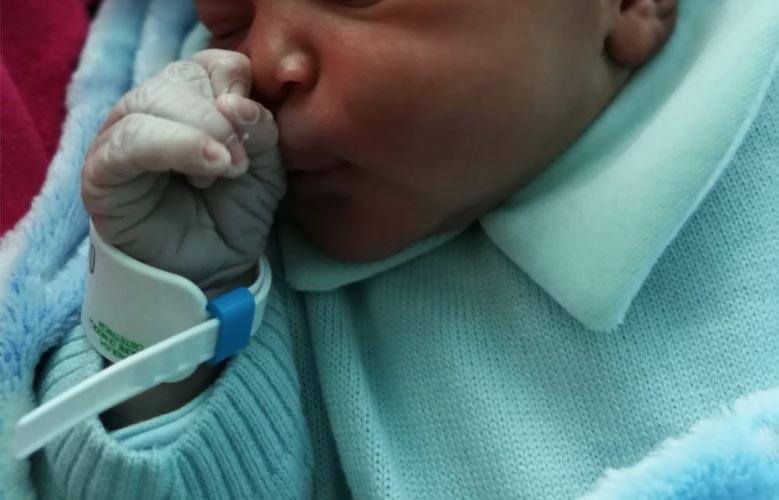 A boy weighing 3.8 kilos, born naturally and without any complications for the mother. A marvellous “blossom” with a plump face that fills us with joy and hope for the future. Perhaps not by chance, immediately after Blossom’s birth, the rain stopped and made room for a beautiful blue sky and splendid rainbow.